Post-Mortem on Heartbleed: What Worked & What Didn’t | Qualys, Inc. Which is best for me ? Real-world case study on how the NHS Dumfries & Galloway responded to this critical vulnerability. 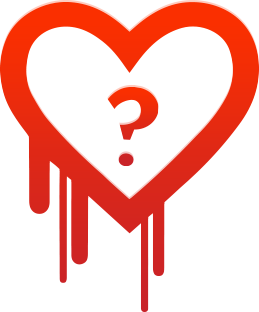 It has been two weeks since the wide-reaching Heartbleed vulnerability hit the Internet. In this webinar we will describe the inner workings of the flaw, detail the detection mechanisms used by Qualys, and cover less-visible instances of Heartbleed that you might be missing. Then we will cover the second step in Heartbleed remediation, the revocation and renewal of certificates, including a discussion of tools that can help. To provide a real-world perspective, the CISO of the State of Colorado Jonathan Trull will describe how the state is taking on Heartbleed. A live 15 min Q&A session will follow. Qualys, Inc. is the leading provider of cloud security and compliance solutions with over 11,000 customers in more than 130 countries, including a majority of each of the Forbes Global 100 and Fortune 100. The Qualys Cloud Platform and integrated suite of solutions help organizations simplify security operations and lower the cost of compliance by delivering critical security intelligence on demand and automating the full spectrum of auditing, compliance and protection for IT systems and web applications. For more information about Qualys, visit qualys.com.